April 18, 2019 1:00pm-3:00pm OR 5:30pm-7:30pm. Join us at Canvas Expressions for a Watercolor Painting Class! 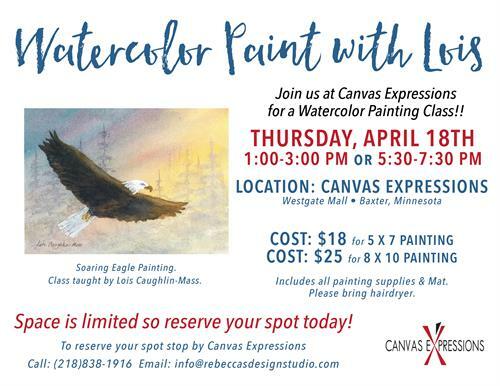 Soaring Eagle Painting Class taught by Lois Caughlin-Mass.